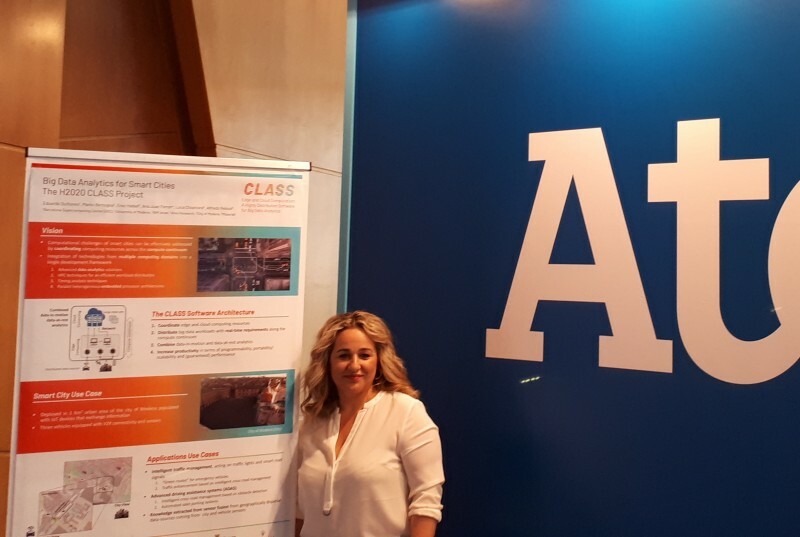 From 20 to 22 June 2018, CLASS was present together with other European projects at ATOS booth at Smart Agrifood Summit. The event, that took place in Málaga, is the world´s largest event on innovation and entrepreneurship in the Agrifood Sector. As an event around the innovation and digitalization of Agrifood Sector, the CLASS partner ATOS, participated exhibiting the R&D projects on Cloud and Edge computing and Big Data. Belén González, exploitation leader of CLASS, was the representative of the project in the event. CLASS project was exhibited as one of the leader projects in Cloud and Edge computing to facilitate Big Data analytics and many SMEs and start-up from Agrifood sector were interested in the project and how they could use the applications in their commercial offering.